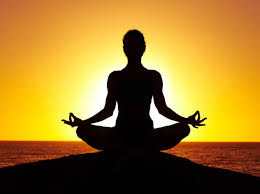 A comprehensive study, "No, Yoga Does Not Cure Any Disease", by a Karnataka-based researcher-consultant, Dr Srinivas Kakkilaya, has said that "all the available evidence as of now, and the systematic reviews and meta-analyses, indicate clearly that yoga does not cure or prevent, or significantly alleviate, any ailment, that affects humans", adding, "If a lie is repeated often, it is said, people will eventually believe it." Published in http://nirmukta.com/, meant to promote science, free thought, and secular humanism in India, the study, in fact, questions that yoga is the oldest and greatest contribution to the world from India, that it is the greatest contribution from Hinduism, that it is way of life, that it has helped Indians with health and vitality for millennia, and that it helps to treat and cure all ailments, even the ones that cannot be cured by modern medicine, saying "Not at all." Pointing out that yoga was "never a part of Indian systems of medicine", Kakkilaya says, "Indian medical texts such as Charaka Samhita or Ashtanga Hrudaya do not mention yoga as a method of prevention or treatment of any disease", adding, "The credit for entwining the so called yoga with health and fitness must go to Manibhai Haribhai Desai, also known as Shri Yogendra (1897-1989), and Jagannath Ganesh Gune, also known as Swami Kuvalayananda (1883-1966)." Based on an analysis of more than 3000 papers over the last 100 years, the study concludes, "The proponents of yoga therapy have failed to find any conclusive evidence for the efficacy of yoga in treating any illness. They have not even been successful in standardizing the so called yoga therapy." The study quotes G Verrastro in "Yoga as therapy: When is it helpful?" in "The Journal of Family Practice" (2014) as saying, "Although yoga has been deemed effective for treating conditions from hypertension to epilepsy, many claims are poorly substantiated. Most of these studies are small, short, uncontrolled, non-blinded, with many methodological flaws and high risk of bias." The study says, a "bibliometric analysis of the characteristics of randomized controlled trials (RCTs) of yoga" by H Cramer and others in "Characteristics of randomized controlled trials of yoga: a bibliometric analysis" in the "BMC Complementary and Alternative Medicine" (2014) includes a total of 366 papers published over forty years, between 1975 and 2014. The 312 RCTs included in these are from 23 different countries with 22,548 participants, the study says, adding, "The analysis found that most trials were relatively small in size and failed to explore even common medical conditions frequently. More than 40 different yoga styles were used in the analyzed RCTs; whilst most trials included yoga postures and breathing, yoga meditation and philosophy were less often used (that means, not much of yoga)." The study further says, "Eighty-four RCTs (26.9%) were conducted with healthy participants. Other trials enrolled patients with one of 63 varied medical conditions; the most common being breast cancer (17 RCTs, 5.4%), depression (14 RCTs, 4.5%), asthma (14 RCTs, 4.5%) and type 2 diabetes mellitus (13 RCTs, 4.2%)." Pointing towards methodological issues, the study says, "Whilst 119 RCTs (38.1%) did not define the style of yoga used, 35 RCTs (11.2%) used Hatha yoga and 30 RCTs (9.6%) yoga breathing. The remaining 128 RCTs (41.0%) used 46 varied yoga styles, with a median intervention length of 9 weeks (range 1 day to 1 year)." It underlines, "The authors of this analysis concluded that the available research evidence is sparse for most conditions, and more research is clearly needed. Besides primary research, up-to-date systematic reviews and meta-analyses are needed at least for the most commonly studied conditions in order to evaluate the level of evidence and strength of recommendation for or against the use of yoga in each condition." It adds, "But none of them provide any conclusive evidence for the efficacy of yoga in the treatment of any human illness, mental or physical." Quoting another review, the study says, a research published by the University of Alberta Evidence-based Practice Center, funded by the National Center for Complementary and Alternative Medicine (NCCAM) and published in June 2007, "found the body of evidence to be inadequate to arrive at any conclusions." The study says, "Uncertainties surround the practice of meditation, scientific research on meditation practices does not appear to have a common theoretical perspective and is characterized by poor methodological quality and, therefore firm conclusions on the effects of meditation practices in healthcare cannot be drawn based on the available evidence." Yet another review, published in 2013, titled "Yoga as a Therapeutic Intervention for Adults with Acute and Chronic Health Conditions" (McCall MC, 2013), identifies 2,202 titles, of which 41 full-text articles were assessed for eligibility and 26 systematic reviews satisfied inclusion criteria, the study says. In these, the study says, "11 reviews showed tendency towards positive effects of yoga intervention, 15 reviews reported unclear results, and no reviews reported adverse effects of yoga. The authors concluded that although yoga appeared most effective for reducing symptoms in anxiety, depression, and pain, the quality of supporting evidence was low." Nice article! and its a unique information about yoga.if you want more information about yoga education visit our site.